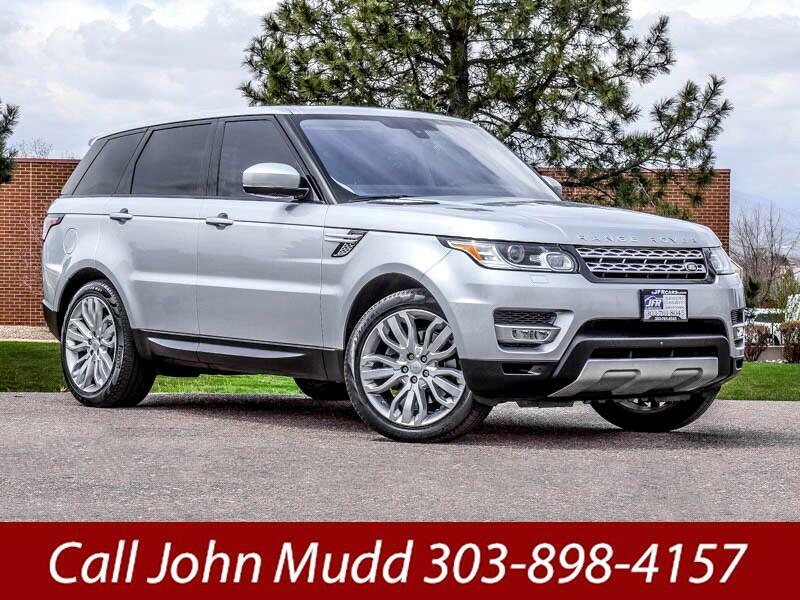 Used 2016 Land Rover Range Rover Sport HSE for Sale in Littleton CO 80120 JFR & Associates, Inc. This luxurious Land Rover Range Rover Sport is a well-rounded premium SUV that offers comfort, style and a do it all attitude. This SUV can go from cruising down the highway to a muddy mountain trail without skipping a beat. This Range Rover Sport powers through life with impressive stability and confidence. She feels right at home where ever you take her. The interior cabin is one of the nicest in the segment. You'll enjoy and appreciate the upscale feel and look along with the supple leather seats and woodgrain trim. The ambiance is refreshing and at the same time relaxing and feels like home. This Range Rover Sport comes with a wide array of options like a DVD player, rear spoiler, tinted windows, Satellite Radio, sunroof, power tailgate, rain sensing wipers, navigation, MP3 CD player, front power lumbar seats, Bluetooth integration, a backup camera, plus lots more to make your driving experience more enjoyable and pleasant. You are cordially invited to take this extraordinary Range Rover Sport for a test drive and discover for yourself why this SUV is so popular. Contact us today and schedule your test drive.